Coming to any negative conclusion is like getting caught in a sudden rainstorm... and then jumping into a river to keep your shoes from getting wet. Someone walks into your home or office and says something that just steams you. Instantly you see "red," and then sit and simmer over what's taken place long after the offending party has left. But here's what you don't see: your continuing negative state -- your response to the event -- acts as a request to all those you encounter in the hours to come. It's a law: people tend to treat us as they find us treating ourselves, and when we meet them with some kind of misery, they reflect the same back to us. Surely we've all seen how "like attracts like." In this context it should be clear: our refusal to let go of some negative state amounts to a request for its continuity. Most of us have found ourselves washed away, overcome by a flood of punishing thoughts and feelings. Picture a desperate man being swept down a river, grabbing onto whatever comes along, and it's easy to see how we end up clinging to things that -- rather than saving us -- actually serve to further sink us. From the frying pan into the fire is the expression that defines "bad bounce" relationships, addictions, and a host of other self-compromising acts meant to end one's misery, not extend it. There is only one reason any pain has the power to command us as it does. We have forgotten this one great rescuing truth: no dark state has authority over who we really are! This is spiritual fact, pure and simple; but why can't we remember it in our hour of need? The answer is somewhat shocking: in those moments when the light that lives within us is meant to transform whatever troubles us into a new and higher form of self-understanding, it is we who get transformed into that trouble itself! Here's a look at how we get so turned around: we become the very negative state we don't want by identifying with our resistance to it. And we all know what happens next. It is no longer we who meet life, who welcomes the lessons it brings; instead the conflict we are in goes before us, as do dark clouds before the storm. Seen in this light, it's little wonder that we receive what we do back from life. After all, what do lightening rods attract? What's needed is a whole new way to ask life for what it is we really want -- to live from an unshakable self that cannot be made to act against itself or anyone else. This is where new and true self-knowledge is irreplaceable. Your true nature is something already greater than any self-compromising state, much in the same way as the ocean shoreline is greater than the waves that pound it. Your True Self is the unshakable ground over which all "waves" of thoughts and feelings both move and break. And just as light doesn't fight with shadows for fear of what they portend, neither need we ever do anything towards our interior troubles except meet them from this timeless ground within us. The willingness to be inwardly still and take no action towards our interior troubles is one and the same as our new request. How so? Deliberate non-action towards whatever threatens to wash us away is the same as asking our God to lift us above these troublesome waves. Instead of habitually identifying with negative thoughts and feelings, we realize these various mental and emotional states are visitors, not who we are. We see that while negative states are within us, they are not our true nature any more than super-heated deep-sea vents are the same as the waters they warm. And by our choice to remain aware of their presence within us -- instead of identifying with the pain they bring -- we are instantly "transported" to that higher ground within us: a higher state of our present self that dwells worlds above the waves that used to sink us. 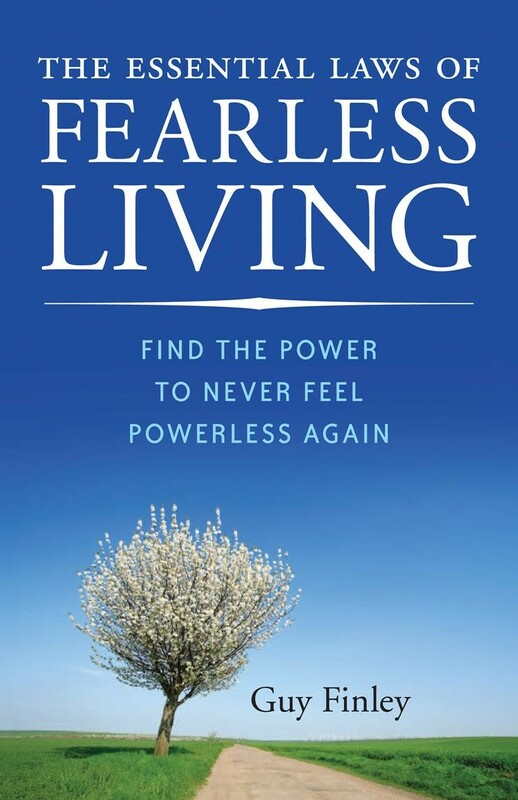 Excerpted From: The Essential Laws of Fearless Living: Find the Power to Never Feel Powerless Again, pages 19-23.